Free-agent defensive end Adrian Clayborn is heading back to familiar territory. The Atlanta Falcons signed Clayborn to a one-year contract, the team announced Tuesday. According to NFL Network’s Tom Pelissero, Clayborn’s deal is worth up to $4 million. ESPN first reported the signing. 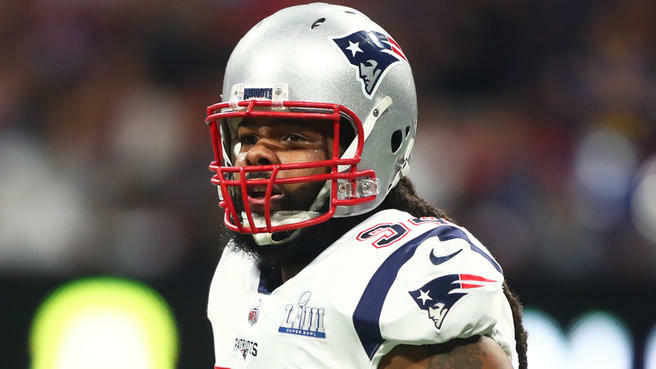 Clayborn, who turns 31 on July 6, spent three seasons with the Falcons from 2015 to 2017 before signing with the New England Patriots in 2018. He entered the league in 2011 as a first-round pick with the Tampa Bay Buccaneers. The 30-year-old had just 2.5 sacks during the 2018 regular season and one in the playoffs. He’s only a year removed from nearly reaching double digits, though six of Clayborn’s 9.5 sacks in 2017 came during a single impressive performance against the Dallas Cowboys. Atlanta struggled to rush the passer in 2018. It produced a total of 37 sacks (tied for 22nd), led by Takkarist McKinley with seven. The cap-poor Falcons have been relatively quiet during free agency, retooling their offensive line by signing guards Jamon Brown and James Carpenter and adding depth to the offensive skill positions. Clayborn started all 16 games for Tampa Bay during his rookie campaign and was impressive, totaling 42 tackles, 7.5 sacks, and three forced fumbles. Then, the following year, he appeared in just three contests due to injury, logging two tackles. He returned to the field in 2013, registering 64 tackles, 5.5 sacks, and a couple of forced fumbles, but injuries cost him all but one game in 2014. Due to the fact that Clayborn had trouble staying healthy, the Buccaneers let him walk via free agency that offseason, and he ended up signing with the Falcons. During his first season in Atlanta, Clayborn recorded 15 tackles, three sacks, and a fumble recovery. The next year, he was a bit more productive, posting 22 tackle, 4.5 sacks, a fumble recovery, and a defensive touchdown in helping the Falcons reach the Super Bowl. His final season with Atlanta represented the best year of his career, as he racked up 21 tackles, 9.5 sacks, a couple of forced fumbles, a pair of fumble recoveries, and a defensive score.